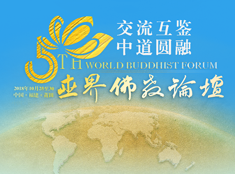 As a member of the Executive Board of the German Buddhist Union (DBU Deutsche Buddhistische Union), I like to express my gratitude to all of you, the dear organizers and hosts, the noble members of the Buddhist Association of China and the venerable Buddhist Sangha of China, for the invitation and the possibility to take part at the 5.th World Buddhist Forum, here in Putian in your great and beautiful country of China. Also, I like to convey the kindest regards and best wishes from our President of the German Buddhist Union Mr. Martin Hage and all the members of the Council of the DBU. They wish us all a pleasant and creative process in the dialog and exchange, to gain more understanding and deeper connection between all the active and committed participants of this conference. I also wish, that this assembly is a contribution to deeper insight what mutual learning in the Buddhist perspective means. And I wish that understanding and harmony will spread for the benefit of all the countries and their people we come from. Let me talk a bit of my organization, the German Buddhist Union, called DBU in Germany. Maybe you heard something from my appreciated friends who participated at the World Buddhist Forum earlier. I like to point out a crucial and short description of the history of the development of Buddhism in Germany and the role of the German Buddhist Union and especially the challenges today. Buddhism came in very early times to Europe, probably about 350 years before the Christian era through Alexander the Great and a bit later through the indian emperor Ashoka, about 250 BCE. Especially the ancient silk road played an important role for spreading the Buddhistic philosophy to the west. It is known, that some great Greek philosopher were influenced by Buddhistic mindset and principles. By historic circumstances to central Europe it took much longer time that the Buddhist view became acquainted. One of the greatest philosophers in Germany and Europe Arthur Schopenhauer were influenced through reading Buddhist texts in the 19th. Century. He established on this basis well known ethic principles, as he taught to overcome the ego by compassion and never hurting a sentient being, but we should help everybody as much as we can. Also, there are frequent comparisons between Buddhism and the German philosopher Friedrich Nietzsche, who praised Buddhism in his work at 1895. Since 1903 we can observe activities of Buddhists in Germany. It was in 1955 when some 43 German Buddhists met in Frankfurt to found the „German Buddhist Society“ which was renamed in 1958 in our present „German Buddhist Union“ (DBU). In 1975 the DBU became a founding member of the „Buddhist Union of Europe“ (EBU) and since 1961 it is a Regional Centre of the „World Fellowship of Buddhists“ (WFB). The German Buddhist Union is a platform where Buddhists from all traditions and schools meet and develop understanding and appreciation for the variety and diversity of Buddhist theory and practice. In 1985 a unique Buddhist declaration was developed (revised in 2004) which is accepted by all traditions in the DBU. It is difficult to estimate the actual number of Buddhists in Germany, as many of them practice in private or are only loosely connected to one of the more than 600 Buddhist groups in our country. There are some 120.000 Buddhists of Asian origins living in Germany, most of them Vietnamese, some from Thailand, Cambodia, Korea, Japan and other Asian countries. We estimate about 130.000 Buddhists of German origin. They generally practice in different groups. There are occasions like Vesakh where members of ethnic and German groups meet and co-operate. Some few groups have both Asian and German members. However, the contacts are growing more intensive in the last years. Currently, there are 64 (in 2015) member-societies of the DBU, some of them having many branches all over Germany. The DBU manages a database of over 600 Buddhist groups all over Germany, which can help interested people to find a group in their region. The groups organize meditation classes, Dharma talks, retreats, study groups, celebrations, teachers training and other events. In addition the DBU is also open to individual members, who want to support Buddhism in Germany. Currently there are over 2600 individual members and more 5000 associated members. 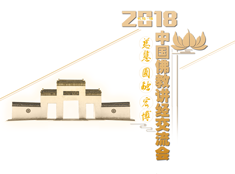 Since 1955 the DBU meets for the annual plenary session in spring and since 1985 it holds a Buddhist Convention in fall, open to the general public. 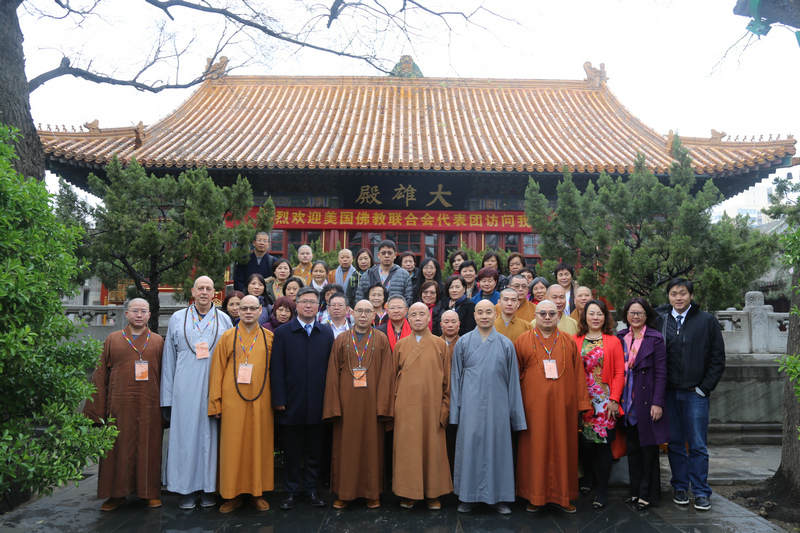 DBU council members, delegates of the member societies, Buddhist teachers and friends from all traditions meet for short speeches, guided meditations and inspiring discussions on teaching and practice of Buddhism in a Western country. There is a growing readiness for local groups to join together to hold regional Dharma days with Dharma talks, guided meditations, films on Buddhism and discussion groups. 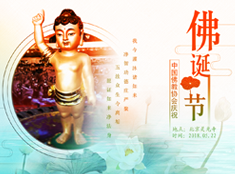 These events have proven to be very inspiring for the participating Buddhist groups and for the interested „non-Buddhist“ public who find great inspiration in this harmonious co-operation of Buddhists of different traditions. The most important regional event is the celebration of Vesakh, the most important Buddhist holiday, commemorating the enlightenment of Buddha. It is celebrated around May/June in various places in Germany. Since March 2004 a study program including all Buddhist traditions has been implemented. The study program is open to all Buddhists, who want to deepen their knowledge. Actual, we established an education for teachers in Germany, who will teach the Buddhistic approach and religion in schools. This year the first teachers finished their education. Actual, it is possible to teach Buddhism in the schools of Berlin, our capital city. We like to establish this possibility in all federal states of Germany. This is a great challenge for us and we are very grateful for the great commitment and support we experienced. We are convinced that Buddhism in Germany will increase further, when we carry our ethic principles of wisdom and compassion into the society.